One of the things I like about Criterion’s Eclipse series is the lack of snobbery in their choices. Yes, there are serious selections like the early Ozu films and Naruse’s silent works, Louis Malle’s documentaries, Jean-Pierre Gorin’s trilogy of essay films and the early Bergmans … but the people behind the line have shown a strong commitment to genre entertainment as well. There’s the set of imperial Sabu adventures, the Nikkatsu noirs, Raffaello Matarazzo’s melodramas, the Koreyoshi Kurahara set … right now, I’m eagerly awaiting the arrival of When Horror Came to Shochiku, with four lesser known Japanese horror movies, including Goke, Body Snatcher From Hell (the only title I already have, on an okay region 2 disk), the inspiration for a visually striking early shot in Tarantino’s Kill Bill. 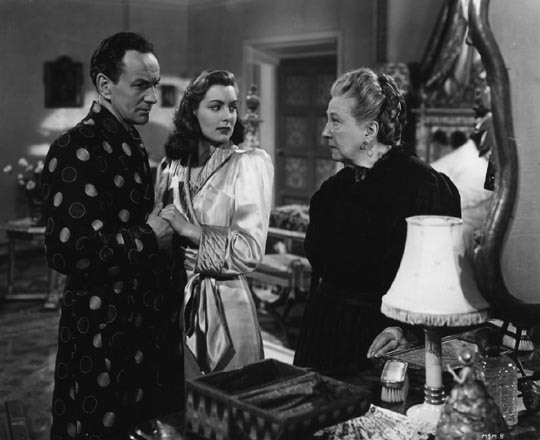 But one of their most pleasurable releases is the recent Three Wicked Melodramas From Gainsborough Pictures. These modest studio-made movies, produced during the Second World War and received with general critical contempt at the time, though apparently great audience appreciation, are not only very entertaining; they highlight the prudishness of Hollywood in that era. How would the Breen office have dealt with scripts so packed with hot-blooded female sexuality, adultery, betrayal, and just plain bad behaviour? 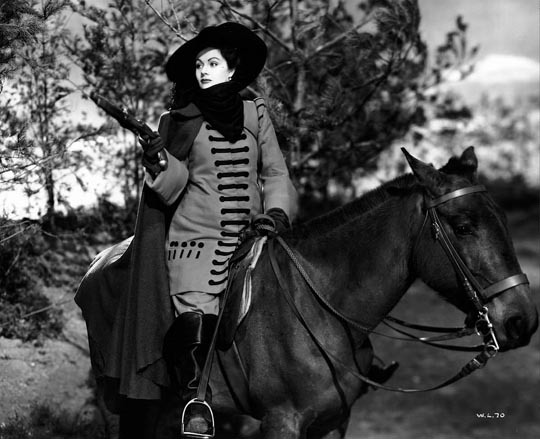 Scarlett O’Hara was a girl scout compared to Gainsborough’s badly-behaved heroines. Gainsborough, established by Michael Balcon in 1924, went through several incarnations over the next two decades. Perhaps most notable now as the training ground for Alfred Hitchcock, who made most of his silents there, it was largely a producer of melodramas and comedies. In the late ’30s, with Balcon gone to MGM and J. Arthur Rank acquiring a large interest in the studio, production was put in the hands of Maurice Ostrer and Ted Black, shifting emphasis from internationally targeted projects to the British home market. In the early ’40s, Black and writer R.J. Minney launched the series of costume melodramas which made the studio notorious. The three movies in the Eclipse set, The Man in Grey, Madonna of the Seven Moons and The Wicked Lady, produced during the studio’s final late flowering (1943 to 1945), no doubt represent the kind of British cinema the Cahiers du Cinema crowd held in such contempt, but there’s a fierce energy driving their overheated plots and like much of British film, they showcase a stock company of exceptional actors. 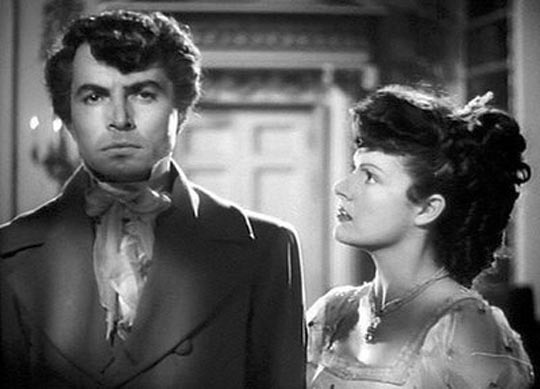 James Mason appears in two of the three, as do Margaret Lockwood, Phyllis Calvert, Stewart Granger and Patricia Roc. The two standout period films were directed by Leslie Arliss (who also wrote or co-wrote the scripts), while Madonna, structurally the most interesting of the three, was directed by Arthur Crabtree (his debut; he went on to genre fame as director of Fiend Without a Face  and the notorious Horrors of the Black Museum ), who also photographed the earliest of the three. As the entry on Gainsborough at the BFI’s Screenonline site points out, these films took advantage of the major social and cultural shifts which saw women’s power and independence, not to mention new sexual freedoms, rapidly expanding as so many men went off to war. It was the “wicked” women and the brutishly sexual men who appealed to the audience, not the conventionally “good” characters – no doubt it was sensing this appeal which made the establishment so critical of the movies. Perhaps most interestingly, considering these films were made for the predominantly female Home Front at the height of the war, all three were based on novels by women and are dominated by their female leads. 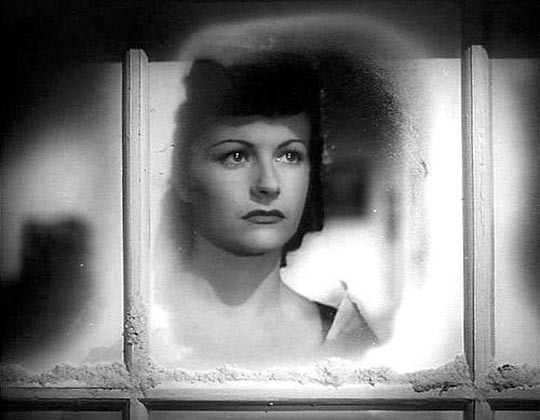 Margaret Lockwood, just a few years beyond her charming co-starring role in Hitchcock’s The Lady Vanishes (1938), revels in her roles as two of the most unrepentantly opportunistic and sexually aggressive women of her time. 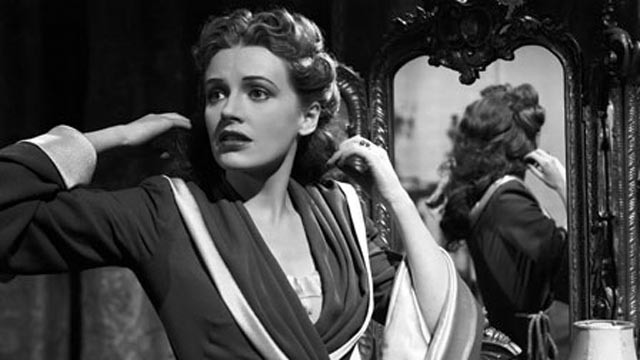 Phyllis Calvert, the set-upon good girl of The Man in Grey, essentially combines her own and Lockwood’s roles from that film into a single character in Madonna of the Seven Moons, while Patricia Roc, playing the “modern” young woman daughter of Calvert in Madonna, takes on the meek good girl role in The Wicked Lady. It’s fascinating to watch these three fine actresses switch and exchange roles with humour and enthusiasm. Director and co-writer Leslie Arliss confidently establishes the Gainsborough “formula” in The Man in Grey. 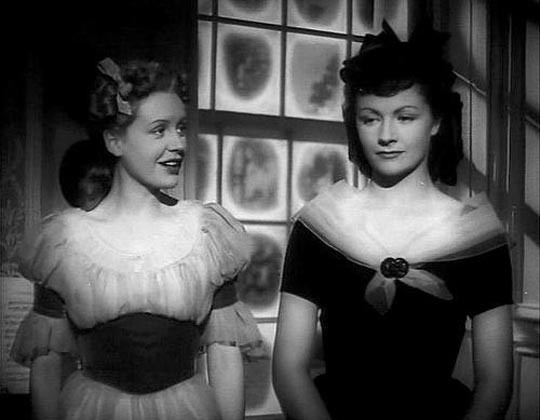 Nice girl Clarissa Marr (Phyllis Calvert) befriends the new girl at boarding school, Hesther Shaw (Margaret Lockwood), taken in as a charity case and treated very poorly by the rigid headmistress. 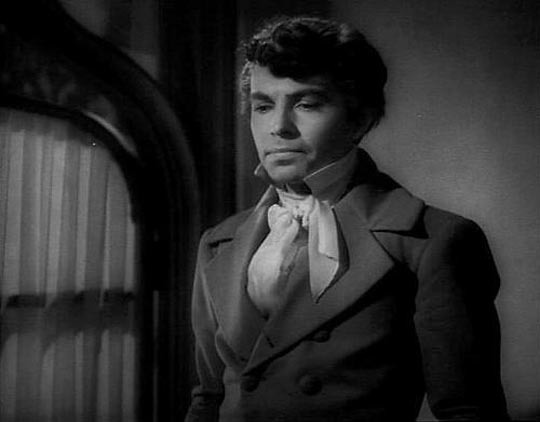 When Hesther runs away with a penniless ensign, Clarissa can’t bear to hear her criticized and leaves the school only to find herself forced by her guardian into marrying the decadent nobleman Lord Rohan (James Mason). It’s an unhappy marriage based only on Rohan’s desire for an heir. The grim finale is theoretically offset by the present-day frame in which Clarissa’s and Rokeby’s descendents meet by chance in wartime London. There’s a hint of a kind of romantic reincarnation which allows the tragic lovers to meet again and find happiness … but this light sentimentality can’t dilute the perverse intensity of the story proper, particularly given the brutality of the final images of Hesther and Rohan. The seemingly conservative resolution of the main narrative, with the punishment of the evil heroine, hardly constitutes a restoration of social order. 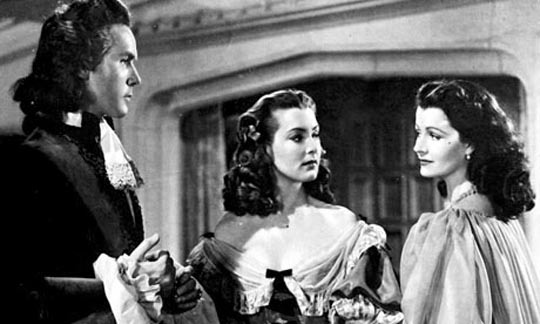 Infidelity also plays a major role in Gainsborough’s most famous melodrama, The Wicked Lady. Once again, Lockwood is the spirited villainess, Barbara Worth, who on the eve of her best friend Caroline’s wedding, seduces her wimpy landowner fiance Sir Ralph Skelton (Griffith Jones) because she fancies being the mistress of a large country estate. 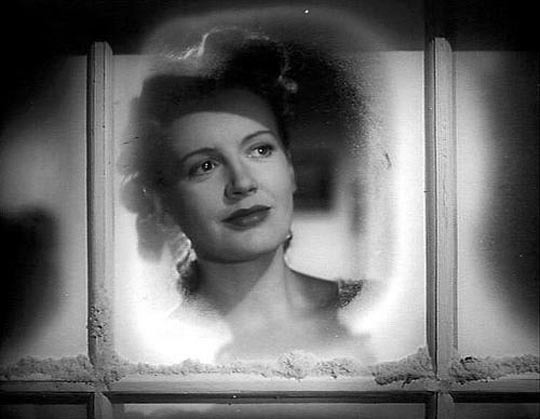 Caroline (Patricia Roc) nobly steps aside for the happiness of the two people she loves most. But at the wedding ball, Barbara meets the dashing Kit Locksby (Michael Rennie) and is immediately attracted. Barbara very quickly discovers that living in the old family mansion is a bore, as her husband tends to mundane business and shows more interest in caring for his tenants than in entertaining her. Boredom makes her recklessly gamble with some guests who she feels look down on her, and she loses a valuable family heirloom. 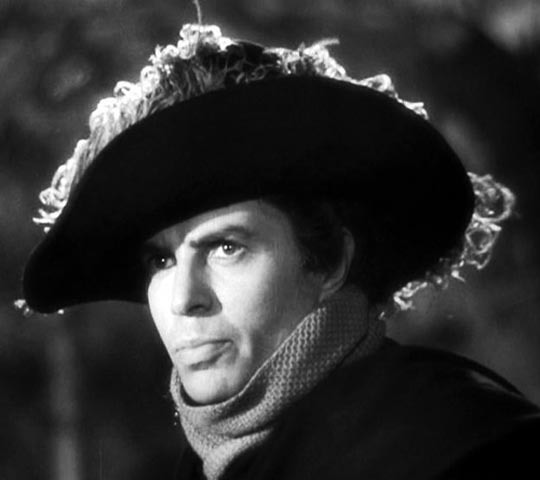 To hide this shameful development from Ralph, she naturally decides to assume the identity of the notorious Captain Jerry Jackson, a highwayman preying on the nearby roads. The thrill of stealing the heirloom back at gunpoint gives her the excitement she craves and she takes up a secret life of crime which eventually brings her to Jackson’s attention. A torrid affair ensues. 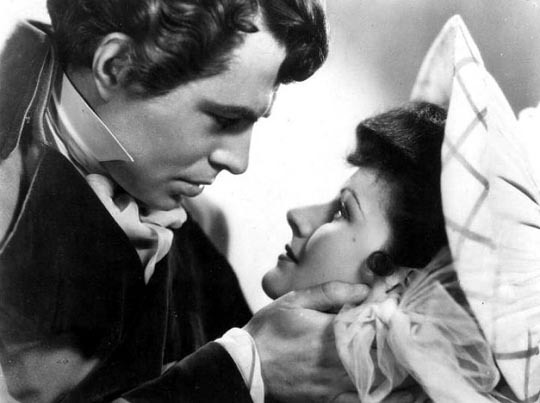 There are numerous complications – Ralph realizes his mistake and becomes aware once again of his deep love for Caroline; Locksby pines for Barbara; she in turn betrays Jackson (James Mason), not to mention murdering the faithful Bible-quoting family servant who tries to reform her. Inevitably Barbara gets her violent come-uppance, but once again the punishment does little to mitigate the sordid anti-social pleasures which have come before. 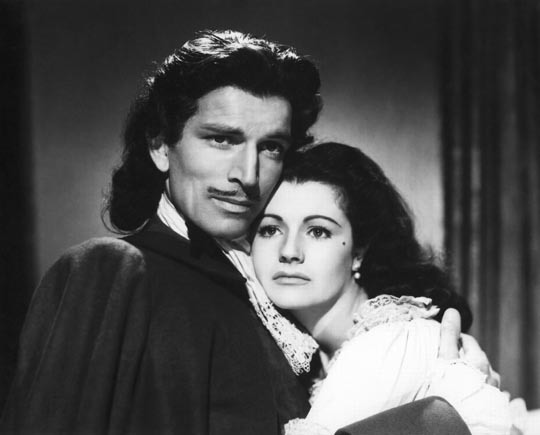 Like The Man in Grey, The Wicked Lady revels in its breaking of sexual taboos … there’s even the surprising spectacle of Caroline preparing Barbara on her wedding night and delivering the woman she still considers her friend to the bed of the man she herself loves. For all their absurdly elaborate plots, these movies express an exhilarating sense of freedom from whatever Victorian social constraints still lingered in England. While it lacks the fiery presence of Margaret Lockwood, and Arthur Crabtree‘s direction is less energetic than that of Leslie Arliss in the other two films, the third movie in the Eclipse set is in some ways the most interesting. Madonna of the Seven Moons, unlike the others, is more or less contemporary, taking place between the two world wars. Two decades pass with Maddalena a rather uptight, matronly woman in a large Italian mansion, living a pious life with her husband, Giuseppe (John Stuart). Her daughter has been away at school in England for five years and is now returning; Maddalena is nervous because Angela (Patricia Roc) is traveling by car with a friend. Giuseppe assures her that the girl is very modern and independent … you can see in Calvert’s face the sexual fear lingering from the prologue as she contemplates the dangers her daughter faces out in the world. When Angela arrives and it turns out that her traveling companion, Evelyn, is actually a young man (Alan Haines), Maddalena’s anxiety deepens. Then Angela’s gift of some flamboyant earrings triggers a massive psychological disturbance in her mother, and Maddalena empties her jewel box and disappears. 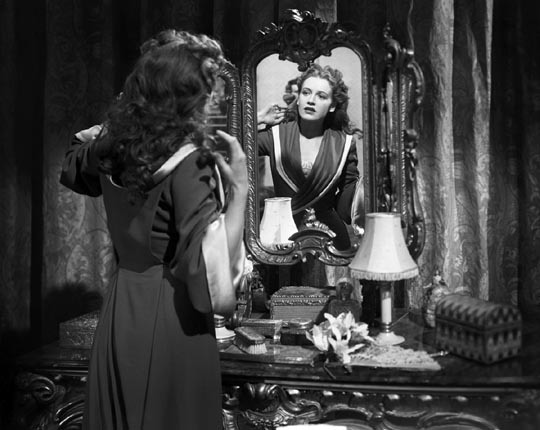 After some shifty conversations between Giuseppe and family doctor Charles (Reginald Tate), who obviously is attracted to Maddalena himself and earlier tells her that she’s silly to see threats everywhere, it turns out that Maddalena had disappeared like this once before, for a year, returning with no memory of where she’d been. 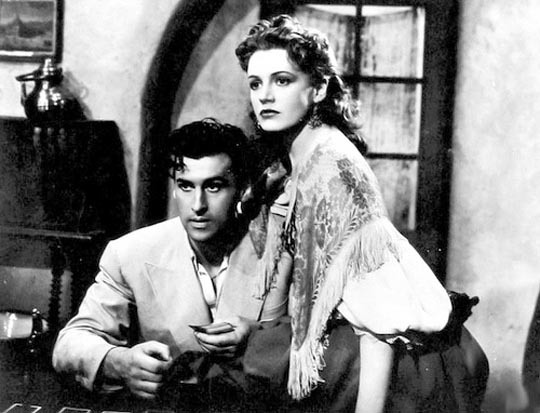 As the family sets out to find the runaway, the film shifts to Florence where we discover that Maddalena has another distinct personality, Rosanna, a feisty, sexually aggressive gypsy girl who’s desired by every man she meets, but has a stormy, very physical relationship with a criminal boss named Nino (Stewart Granger). Here in this other town, in this unsavoury, coarse and violent milieu, everything Maddalena has suppressed since her traumatic childhood surfaces with a vengeance. She flaunts her sexuality, provokes fights among Nino’s gang, dominates the dominant man with a mixture of passion, humour and perhaps even contempt. 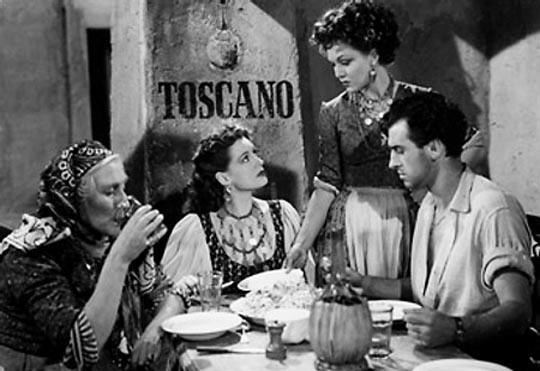 The film is fleshed out with several other couples – Angela and Evelyn, Evelyn’s friend the painter Logan (Peter Murray Hill) and his wife Nesta (Dulcie Gray), Angela’s flighty friend Millie (Evelyn Darvell) and her gigolo boyfriend Sandro (Peter Glenville), who happens to be Nino’s brother … all these characters intersect in an elaborate narrative weave during the search for Maddalena, rushing towards an inevitably tragic climax which combines both restoration and punishment for poor Maddalena who, because of that early trauma, was never able to establish the right balance between propriety and passion. Once again, the film presents a clear dichotomy between good girl and bad girl, but here it’s embodied in a single character. Yet even as the good girl must ultimately die to pay for the bad girl’s sins, the film offers a viable alternative in Angela, a modern young woman who moves freely through society, perfectly comfortable in her own sexuality. And there’s also the affectionate and sensual marriage of Logan and Nesta as an alternative to the cramped marriage of Angela’s parents and the violent passions of Nino and Rosanna. 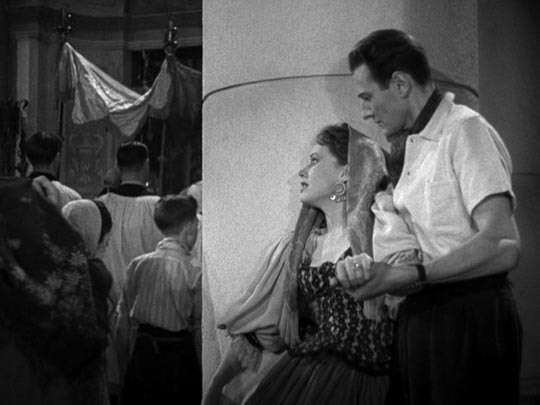 All three of these melodramas offer images of the various choices opening up to their female audiences with the social disruptions of the war … and in all three, those choices revolve around an undisguised consideration of female sexuality. This entry was posted in Review and tagged Actors, British Film, Criterion, Directors, Eclipse, Melodrama, Review. Bookmark the permalink.